Siding replacement is a fast and cost-effective way to modernize and refresh your home’s appearance. Tony’s Roof Care installs and repairs siding using only the highest-quality siding materials available. Whether you’re just looking for straightforward siding repairs, a fresh coat of paint on siding or are ready for a complete overhaul, we’ve got the products and services that will work for you. Tony’s Roof Care is proud to offer James Hardie® fiber cement siding products to our clients. Fiber cement is a composite mixture made from cement, sand and cellulose fibers. After being molded and cured, the final result is a siding material that is strong, durable and resistant to rot, fire and impact. James Hardie fiber cement weathers the wet Pacific Northwest climate and stays beautiful. Let Tony’s experts guide you through selecting the James Hardie siding profiles and colors that perfectly suit the architectural style of your home, along with your available budget. All James Hardie products are top-quality, durable and attractive. You’ll enjoy not just the beauty of the product you select but have peace of mind knowing your home and family are well-protected from the elements. Lap Siding – Lap siding is designed to be beveled with the bottom edge cut thicker than the top, and the planks then installed horizontally on your home. Vertical Siding – Give your home a modern upgrade that will get everyone’s attention. Shingles – Classic wood shingles are beautiful, easily installed and can be painted to match your home. Nothing will impact the appearance of your home more dramatically than the exterior siding you choose. 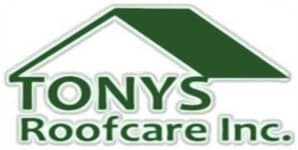 Let Tony’s Roof Care help you. Call us today at (253) 841-7779 or fill out our online contact request form for a free quote.